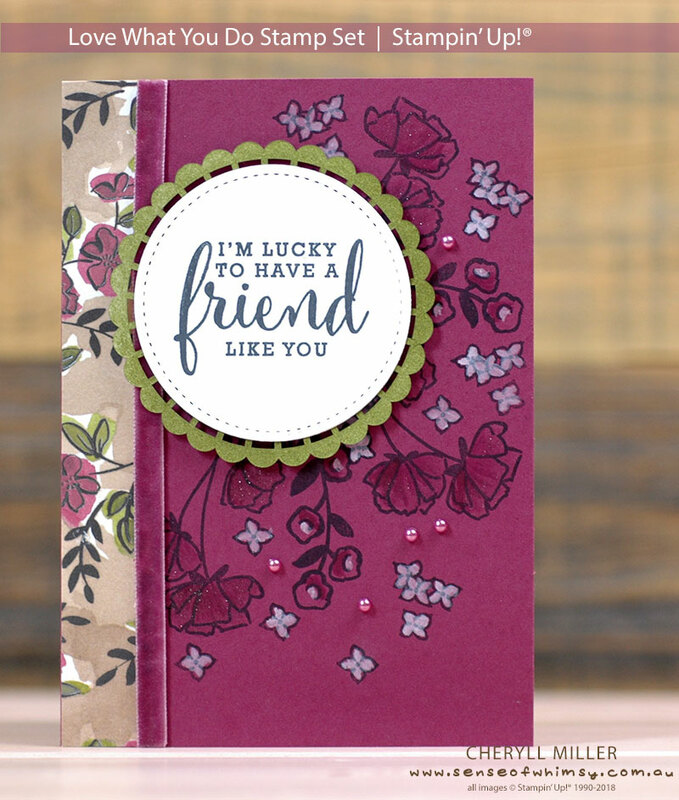 Love What You Do Stamp Set and colouring with White Craft Ink. Welcome to my blog … it’s Flashback Friday! Today we are taking a very short step back in time to June 2018. I created this card for my first Whimsy Wednesday facebook live in my Cheryll’s Stampin’ Up! group, using the Love What You Do stamp set. Another Gorgeous card Cheryll. Have a great time.